Published: Oct. 21, 2014 at 09:12 a.m. Updated: Oct. 21, 2014 at 10:59 a.m.
Cincinnati Bengals coach Marvin Lewis said Monday star receiver A.J. Green was progressing from his toe injury. 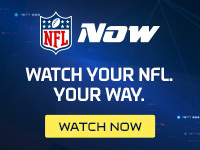 Speaking on NFL Network's NFL AM on Tuesday, the wideout corroborated that he's getting better, but his status for this week is still unknown. "It's still up in the air," Green said. "But it definitely feels better. We'll see about this week." Green admitted he probably wouldn't be fully healthy the rest of this year. "It's probably not gonna be 100 percent, but I hope it's just manageable," Green said. "I can get through the season and be fine and still play at a high level." The Bengals are on a three-game winless skid that has them sliding within the AFC North after starting the season 3-0. Green said it's been tough watching his team falter without him there to help. When pressed about whether he'd be on the field to provide aid this week against division foe Baltimore, Green reiterated his skyward-directing phrase. "I hope so, man. It's still up in the air, and we'll see," he said.